This topic contains 22 replies, has 16 voices, and was last updated by justino 10 months ago. Sir I want pro plz. First you should uninstall old netcut on android, and REBOOT your phone. 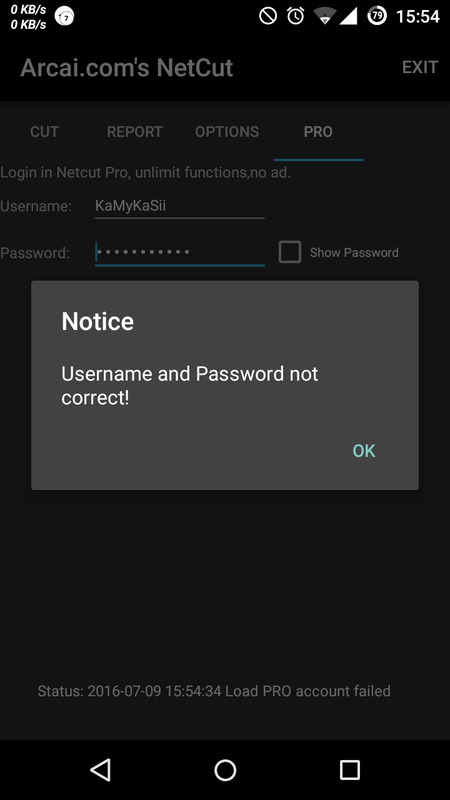 Use your username and password login into Pro account, you should see if your account status, first time user will get 15 minutes automatically. if it in good status (not expired), then you are good to use all Pro functions. if it is expired. just click on “Buy or Free extend” button. it will take you to a page where you can “buy or free extend”. “buy” is currently not online yet, so you can click “Free Extend” —> “Extend PRO membership 15 minutes”. we will open to BUY soon so that no more ADs or Free extend button. just 1$ for one month. This reply was modified 2 years, 9 months ago by admin. Thank you for your interest, the BUY out System is under developing. soon you will be able to buy it buy click the button “buy or free extend”. How to enable for root access??? Please Say how to enable for root access..???? In my opinion you should have option buy lifetime licence. Hey, i want to purchase netcut pro in my windows 10 but i don’t have paypal account. So, Can i buy pro version in android to activate in my windows 10? 3. Login into windows netcut Pro with you username/password. your membership will show in windows netCut Pro . can you mail me your order id and netcut pro UID ?